This article was written By Matthew Holland on 10 Nov 2010, and is filed under Reviews. 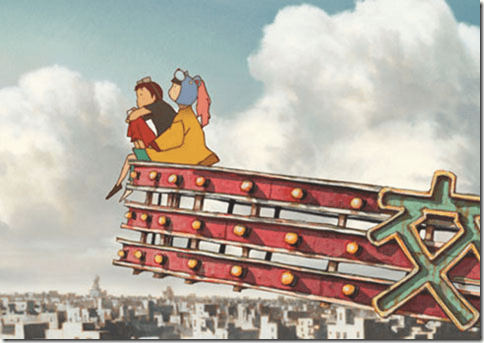 The first time I saw Tekkonkinkreet, it was the second film of a four part anime all-nighter at the London Sci-fi festival in the summer of 2008. The anime all-nighters run a couple of times a year (the festival has a much smaller series of events in October) and usually include a selection of mainstream releases. At this particular event, there was some pre-screening excitement as the organisers had managed to gather a particularly strong line-up of new features: the sequel to the popular, but over-rated Appleseed, the entirely CGI Appleseed: Ex Machina, the first anime from director Fumihiko Sori and also entirely CGI Vexille, the already acclaimed work from rising anime star director, Mamoru Hosoda, The Girl Who Leapt Through Time, and a film, I at least knew little about, Tekkonkinkreet. Tekkonkinkreet is a metaphysical coming of age story concerning two young orphan boys, the older street punk, Black, and the younger more innocent, White. The story centres on their home town, a hustling post-industrial pan-Asian mini metropolis called Treasure Town. In the town the brothers are unofficial guardians, who maintain respect and power through brutal street violence and a reputation for fear. They maintain an uneasy balance of power with yakuza elements operating within the city, but this is thrown into disarray when a large corporation comes to town and begins making darker changes. Balancing levels of fantasy and realism, the film presents a dark tale of youth adapting to modernizing society and struggling to maintain a sense of equilibrium and control. The story contrasts instinctual violence with childish innocence through its lead characters, and has real depth and conviction in its depiction of change. The film is a technical marvel, combining hand drawn and rendered artwork with subtle computer animation. Distinctive characters move organically through a spectacularly realised cityscape that splices Bombay shanty towns with Showa-era Tokyo. Using a fairly bright colour scheme, the visual style of the film manages to be both highly detailed and broadly painterly. It’s one of the most filmic animations to date as well, interpreting a number of different cinematic techniques, such as tracking shots and hand held camera use, through computer animation. My only general criticisms of the film are that some of the minor characters, particularly the antagonists, aren’t developed well or enough, and that the film becomes quite slow in the second half and ends up feeling much longer than its 111 minute run time. The film is perhaps best known as the first major anime film directed by a Westerner, American Michael Arias. Initially there was some dispute amongst fans as to whether a film directed by an American could be called an anime, especially when it uses an English language script. But Arias had lived and worked in Japan for several years, spoke the language fluently, and felt personally attached to the Japanese manga on which the script is based. The film itself is in Japanese, it was produced in Japan, and the majority of its voice cast and production crew are Japanese. That aside though, the film divided opinion. To me, it’s come to exemplify the vastly contrasting reactions different people can have to the same film. After the screening at the all-nighter, the stranger sitting next to me in the cinema said he found it incredibly dull and even fell asleep during it. I, on the other hand, felt it was one of a very small number of films (perhaps 2 or 3) that I’ve seen for the first time at the cinema that genuinely amazed me. The film was generally well received by critics, it received nominations at the Berlin International film festival and won a few prestigious animation prizes in Japan, including an Academy award. However, box office takings for the film, especially in the west, were not as good as expected and it never even saw a proper theatrical release in the UK. This prompted Guardian film journalist, Danny Leigh, to select the film as number 3 in his list of “The 10 most underrated movies of the decade” last year. 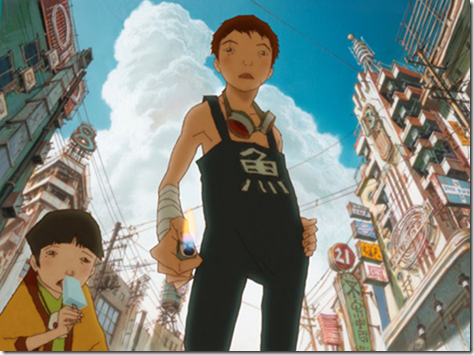 The status of anime cinema in the West, particularly in the UK, is not a debate I’d like to write about now, but it’s disappointing that UK cinema audiences didn’t get a fair chance to see Tekkonkinkreet. Mathew Holland is a contributing writer at VCinema.